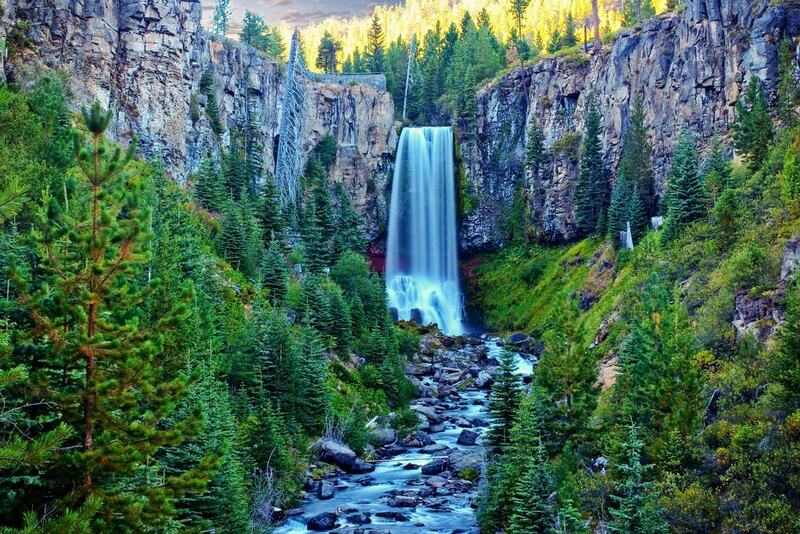 Tumalo Falls can be found in the Cascade Range west of Bend, within the boundaries of the Deschutes National Forest. The best way to see the waterfall is to follow the Tumalo Falls Trail, which leads to a viewing platform boasting an incredible place to experience Tumalo Falls. There is also a nearby picnic area which is an ideal spot to stop for some food and a rest. Take care to look out for wildlife around the falls, as visitors to the falls have spotted animals such as hawks, deer and squirrels in the area.